Pink Green Chick: Shea Moisture is Giving My Curls Life! Shea Moisture is Giving My Curls Life! I hate hair. I really do. I've never quite known what to do with mine. I can't braid. I'm tender-headed. My flat iron attempts have been complete and utter failures every single time. I detest going to salons and being left under the dryer for what feels like countless hours. If my head weren't shaped funny I'd be game for cutting it all off. But that's not my reality so I have to make do. Since buns and ponytails only seem to wreck and ravage my hair I felt that the best course of action was to let it do it's thing. I watched a handful of Youtube videos for tutorials on twist outs (too much work), bantu knots (wayyyy too much work) and wash and go (bingo!) styles. A wash and go requires, like, minimal effort but results definitely vary by factors like hair type and products used. It's been trial and error for me. I've tried a bunch of leave in conditioners, gels, oils and creams. Some I've liked a lot and some I've hated. 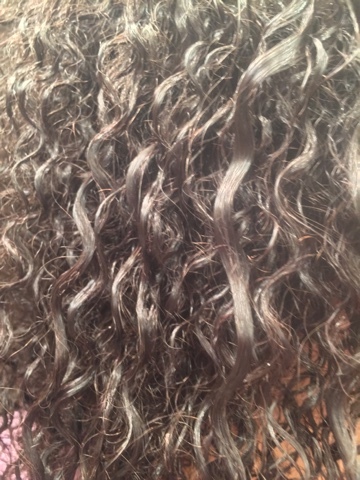 I really love Miss Jessie's Jelly Soft Curls for crunch-free definition and shorter drying time. However, I've noticed that my hair is lacking moisture that it so desperately needs. 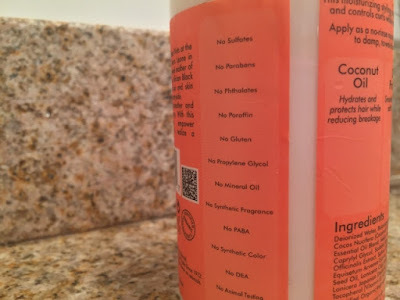 I continued my search for that one miracle product that I know doesn't really exist but I keep searching for anyway in hopes of finding something pretty close at least. One day I stood staring at the shelves of the hair care aisle of CVS and I noticed this Coconut & Hibiscus Curl & Style Milk from Shea Moisture. I remembered the brand being natural and free stuff I don't like (the usual suspects: parabens, phthalates, sulfates, etc). I do what I normally do before buying a hair care product for the first time and smelled it. It's sweet. Like, dessert sweet. I could think of a lot worse things for my hair to smell like and I was into it so I bought it. The directions suggest applying the hair milk to damp hair, so, since I had washed my hair the day before and it was dry, I used my squirt bottle to add moisture. I applied a generous amount (probably more than I needed to) and worked the product in with my fingers then let it air dry. My hair drank it up and I could swear I heard it whisper "thank you." Long after my day was done, my hair was supple and maintained a healthy shine that I haven't seen in a long time. Because the milk was white I worried about product build up or any sort of visibility but there was none. Once it's in it's in. I was able to repeat the same steps the next day with similar results. 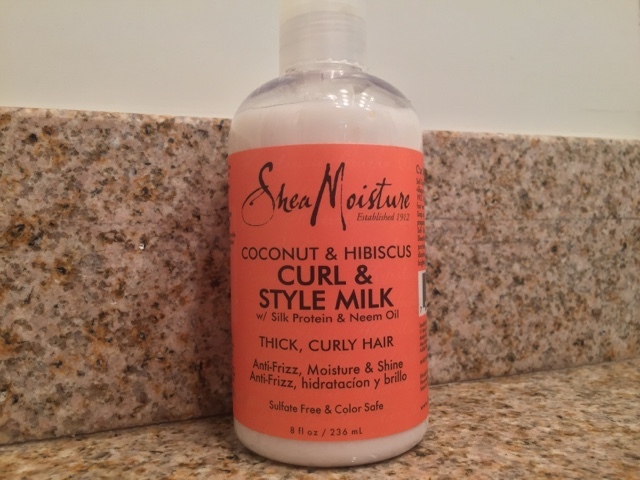 Is this Curl & Style Milk the last product I'll ever buy? Well, I'm a bit of a product junkie so that's highly unlikely. But I am extremely happy with the results it yielded and it will be used in heavy rotation for wash and gos.